It seems funny how many devices we have to worry about keeping charged now. There was a time when all you needed to worry about was having a few spare batteries on hand. Now we charge something every night, and sometimes during the day as well. We also keep our devices plugged in even after they’ve fully charged. This is only adding to our electricity bills, and unless you want to move to solar-power, you’ll likely want to start remembering to unplug your gear a little bit sooner, or turn off power strips at night. If you don’t want the full brunt of that responsibility to fall on you, you can make a tiny step in the right direction by getting the Powerslayer. This will give your USB powered device only as much juice as it needs, and then shut off. No wasted power, and a fully charged device. Sounds nice, right? This can charge smartphones or tablets with ease, and will help with long-term battery performance in your devices. This is also a surge protector, which is always pleasant to have around. You’ll still need to remember your charging cable, otherwise this thing will be useless, but there is a carrying case that has a specific slot for this aspect. 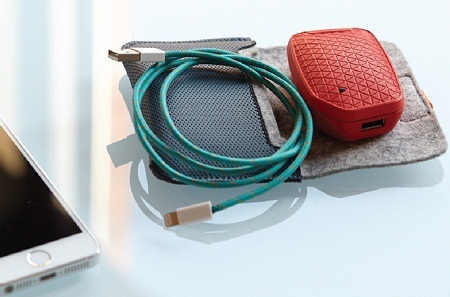 Putting down $40-$65 will get you the PowerSlayer, a braided cable, and a carrying case. It’s not a bad idea, but it’s encouraging us to let some other device worry about our power consumption rather than forcing ourselves to remember.